This post is long overdue. Over the past 2 or 3 years, I've noticed an increase in certain vintage pricing that appears to have become permanent. 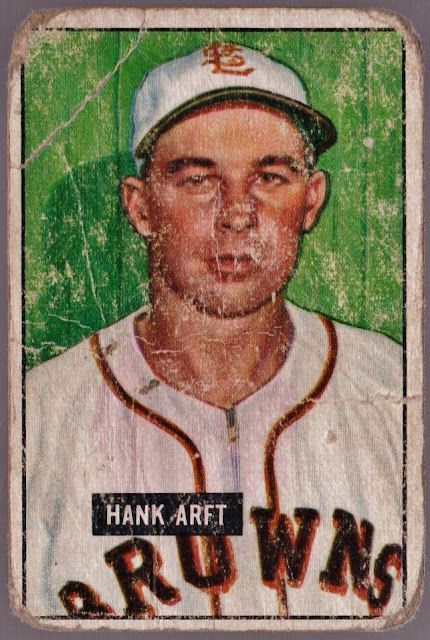 I used to build vintage baseball card sets in reverse chronological order until reaching the 72, 71, and 70 Topps sets, where finding affordable pricing for high-number cards became more scarce. This occurred sometime after the start of the current decade, when I decided to open my focus to collecting 3 sets at a time. When I got down to collecting the 67, 66, and 65 Topps sets, I decided to abandon the reverse chronological order principal altogether and just build vintage sets where I could find the best deals relative to lowest percentage of book value. That principle, which I still follow today has led to my completion, or near completion, of multiple other vintage sets like 50B, 51T, 54T, 55T, 59T, 60T, and 62T. Throughout the while, I always kept a minor focus on finding deals for my newest incomplete sets like 1966 and 1967 Topps. Now only 6 cards away from completing the 1967 Topps set, online deals that I used to scoff at only 5 years ago are nowhere to be found today. For example, I could find #609 Tommy John for $12 shipped (15% BV) from time to time but was holding out for $8-$10. Now I can't find one for under $30. Common 1967 high numbers like 535, 572, and 578 used to be easily found from $10-$12 but now they're nowhere to be found for under $25-$40. I've noticed the same principles applying to 1966 high numbers, but also to lower numbers like 1964, 1963, and 1961 Topps, which are the next older sets that I'm currently collecting (1965 is only missing Mantle). It seems to me that 1960's cards pricing have just gone up overall, while many of the 1950's cards have remained the same. Now, 1951 Topps cards have really jumped as well, which used to boast Redbacks for under $3 and Bluebacks for under $10. This doesn't just seem like normal inflation to me because of the differentials in price changing between 1950s and 1960s cards. The price levels were really flat overall for most of the time since I came back to the hobby in 2001 (and probably long before that after the baseball card market crash of late 1991), so what I've recently noticed in vintage card price changes since about 2016-2017 has really been shocking. I'm just glad that I've been able to compile many of these '60s cards before they started price jumping. 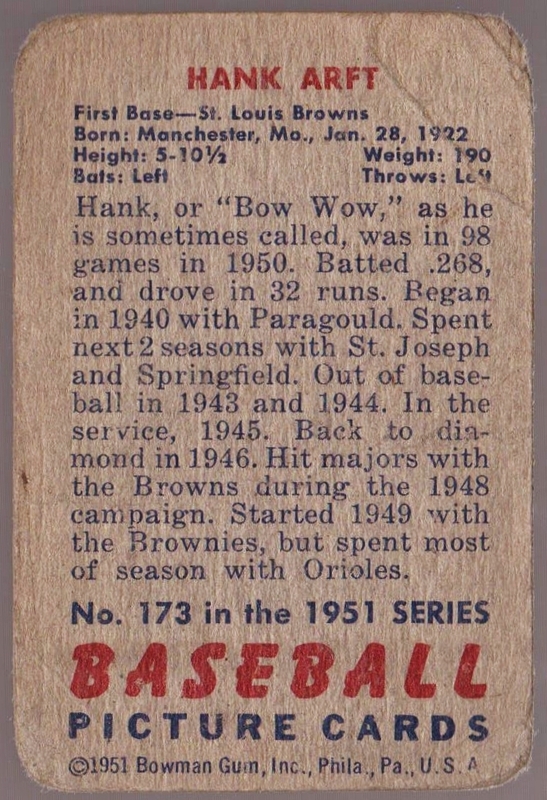 So what's the 1951 Bowman #173 Hank Arft have to do with all this? Not much. I accidentally purchased an extra one. How? I don't know. I only have 40 cards from this set.